I loved the Bobbsey Twins when I was a child! The Bobbsey Twins books were books that my mother read as a child and my own daughter loves to read. We'd be ecstatic to be chosen to receive this set! Thanks for the chance to do so! Oh, please pick me! I loved these growing up! I remember reading these when I was a little girl! What a treasure they would be for my daughter and son now. I read my Mother's childhood Bobbsey Twins books while growing up. I'm in my 60's now and don't know what happened to those books--I'd love to win these books to share with the young ones in the family. Yes! 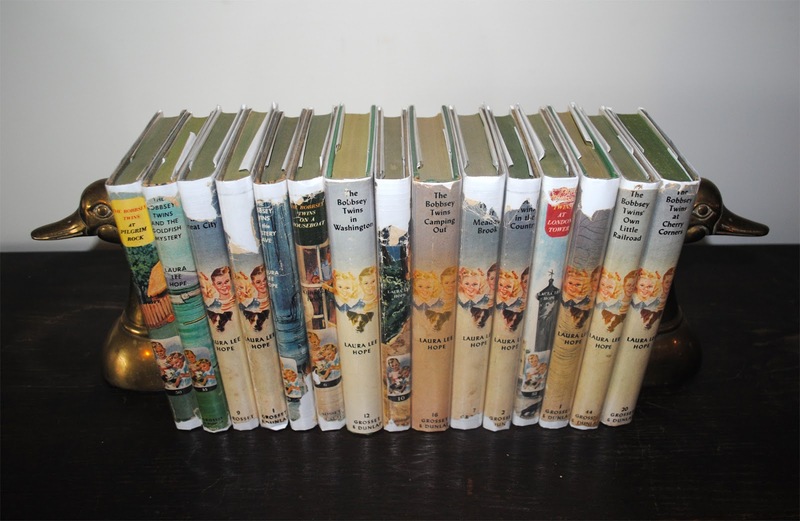 Bobbsey Twins books ~ for me! I'd like to be in the drawing. What a beautiful set. A trip down Memory Lane for me! I would love to share these sweet stories with my future grandchildren. I LOVE the Bobbsey Twins series, read them when I was a kid! I love the Bobbsey Twins! My wife would just flip if I were to win these. Oooh! love the Bobbsey Twins! I would be s thrilled to win these for my young nieces!! Sound cool, wonder what they smell like on my doorstep! I loved these as a child! Would love this for my grandchildren. Great stories - great memories! Oh, what fun! I really loved these when I was little, and would love to read them again. These would be amazing to have! Thank you for the giveaway. What fun! I love finding old classics like these! I would really love these. some of my childhood favorites. This would be great to add to my collection. I downloaded most of them on kindle. I read all the Bobbsey twin books growing up and have actually been looking for hard copies for my library. I would appreciate being considered.